This drill teaches lose ball skills, aggressiveness and one-on-one skills. 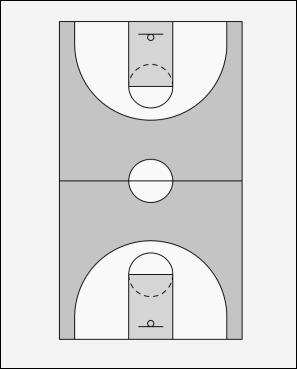 The coach stands under the basket and has his team break into two lines (one on each side). He rolls the ball down the middle of the court and the first player from each line race to the ball. No rules - players are encouraged to get on the floor and sell out to get the ball. Once one player gets the ball they play one-on-one back to the basket. If a player loses the race and gets scored on he runs a full suicide.